Republicans to impeach Obama for not implementing Muslim Socialist Atheist dictatorship. On being told the news when he arrived down for breakfast, the president picked up his iPad, tabbed on “Sons of Anarchy” on Netflix, and announced that he was going back to bed. Why do Irish social conservatives accept defeat so easily? It’s a political stereotype to paint conservatives as rugged and liberals as effete. The reality, at least in Ireland, is somewhat different. When Irish liberals lost the 1986 divorce referendum, they didn’t accept it as a settled matter, but came back again in 1995 and got what they wanted. I sometimes wonder why Irish conservatives just accept that ratchet effect, that once another liberal victory is achieved they accept it and retreat? Take abortion. In 1992 conservatives fought against the right to information and the right to travel. They lost both, by margins similar to the liberal defeat in 1986. Why do they not put reversing the right to travel in particular on their agenda? Is it no longer what they claimed it was at the time? SPUC was amongst one of the most powerful and feared political movements in the country. What happened? Did they all become liberal? Or just die? It’s the same with marriage equality. If there’s a No vote in May, I know that liberals won’t give up, but will come back and fight again. If there’s a Yes vote, will conservatives just accept another defeat and roll over? Probably. I’m writing this as a liberal who is just plain curious as to why Irish conservatives give up so easy. Even the Irish conservatives I know would run screaming from a political grouping that advocated reopening the divorce or decriminalisation of homosexuality issues. Is it because they accept that a society can only go one way, that is, more liberal? 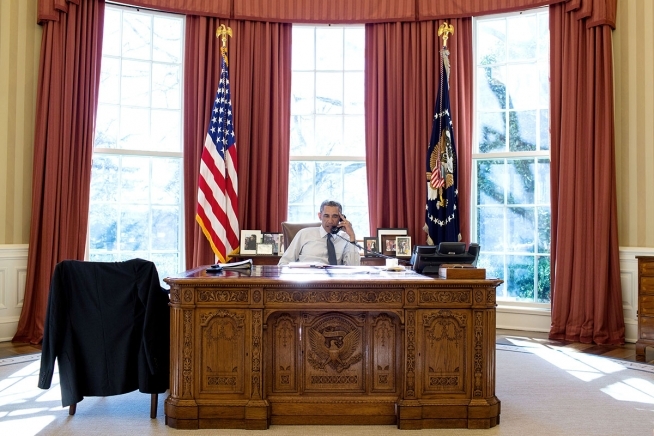 Supposing, after the terrible events of 9/11, the United States had acted differently. Imagine if it had worked to improve its intelligence and internal security capacity, but not launched the War on Terror. Instead, it deployed special forces discreetly throughout the world to destroy Al Qaeda and hunt down Bin Laden. Imagine now we lived in a world where the US and her allies had not invaded Afghanistan and Iraq. Afganistan is still a medieval backwater where women are treated appallingly, and Saddam Hussein or his odious sons are still in power in Iraq. It’s not a pretty sight, save for the fact that The West has not turned two invasions into a recruiting bonanza for Islamic extremists. Thousands of allied soldiers have not died. Hundreds of thousands of civilians are not dead. Billions have not been spent on wars that have at worst not delivered what we hoped, and at best created new problems. Are we actually that worse off? ISIS is not fighting in Iraq. The Arab Spring probably hasn’t happened. George Bush and Tony Blair have both left office in quite high esteem, two safe pairs of hands who steered The West through one of its’ darkest days. It couldn’t have happened, of course, for the simple reason that the American people and its media would never have settled for anything short of a spectacular act of revenge. And I write that in a non-judgemental way, because it was a very human reaction to rise up and want to wreak vengeance upon those who inflicted such a terrible blow on the US. But that’s the point. It was a hard blow, but a gnat’s blow in terms of the strength of the United States. Over 3000 people were killed, which is a savage figure. But when you consider that over 30,000 Americans die every year from gun-related deaths, without much panic by US politicians, you realise that the US, and the rest of the western world, can absorb quite a lot of pain. America could have dismissed 9/11 with a wave of the hand and carried on if it had chosen to. That’s not to say it can dismiss threats to national security. It can’t. The next attack could be a biological weapon, and The West has to act to protect itself. But the US, and The West in general, should perhaps start considering that massive spectacular and visible retaliation does not make the US safer but creates a new generation of enemy recruits. Imagine if Israel didn’t respond to every attack from Hamas. Imagine if Israel just stood firm and brushed off attack after attack, without bombing the Palestinians in retaliation. Yes, it would be hard, and counter-intuitive, and there would be those on Fox News screaming hysterically and quoting the bible and calling leaders wimps and cowards. But also imagine as days turned into weeks and weeks into months, of rockets being intercepted or landing, but the counter attack never coming. Imagine the anger in Hamas and Al Quaeda, as the US and Israel don’t play their part in the cycle, but instead openly mock the terrorists for their feebleness, for the fact that The West is so strong that their best efforts are as an ant to an elephant. In short, imagine we told them that they’re just not important enough to invade or bomb. Yes, it would be hard, turning the other cheek. It would also mean turning a blind eye to terrible things done in Nigeria and Mali and Iraq and Syria. It would probably mean we’d need a more enlightened immigration policy to provide refuge for those fleeing those awful regimes, perhaps even paying another country to act as our surrogate reception area. Would we really be worse off? Fox News condemns lack of gun deaths in Europe as proof of European softness on terrorism. Posted by Jason O on Jan 12, 2015 in European Union, Not quite serious. The US Fox News Channel has lashed out at Europeans for being soft on terrorism by not permitting Europeans to buy assault rifles. Speaking on FNC’s morning show, “Bibles & Bagels”, presenters Jon Blowdry and Leeza Findhusband mocked Europe’s gun death statistics. As a general rule, there’s something pretty obnoxious about setting out to insult someone else’s religious beliefs. In a free society, one has a right to do it. But good manners sometimes dictates that you keep your opinion to yourself. We all have to live here, after all, and the mark of a civilised society is that we all tolerate and respect each other, even those we disagree with. Having said that, the right to offend has to be pretty much inviolate, because like democracy itself, mankind has yet to devise a better system. Surrender the right to offend with your opinions, surrender it to the state or some other authority, and you chip away at freedom itself. Too much freedom of speech is always less of a risk than too little, and those who advocate restricting freedom of speech are nearly always talking about other people, not themselves. But using violence to define the borders as to what opinion is acceptable? That has no place in the free world. Believe in that, and there is no place for you here. Go to one of those lesser nations who believe in the approved opinion, the ones whose people are always fleeing to live in Europe or North America or Australia or New Zealand. This is not negotiable, if you are born here or came here. Freedom of speech, democratic elections, the rule of law, religious freedom, equality between men and women are not some a la carte menu to be chosen from when it suits. This is our society, and it works. The United States and the countries of the European Union could give away a million free passports in a day if we wished, with no doubt that there’ll be no shortage of takers. These are the fundamentals, and we may tinker with them, but they aren’t going away. If you can’t bear to live in a society where people can tweet cartoons you don’t like, then you should go away. If you choose to take up arms against that society, then we will take up arms against you, and there are literally millions of us ready to fight to defend what we have built here. Our society, for all its flaws, is the pinnacle of Human progress. It separated church and state, ended slavery, defends the rights of minorities and believes in individual freedom. It is not up for negotiation, and as the millions on the streets of France and across Europe tonight have shown, it will be defended. “The Trip”, and its sequel “The Trip to Italy”, is almost certainly a very Marmite-y TV series, in that you either loved it or it just left you cold. I have to admit to loving it, but I suspect that’s more to do with the fact that I’m in my early 40s and recognise the bitter-sweet nature of both series. 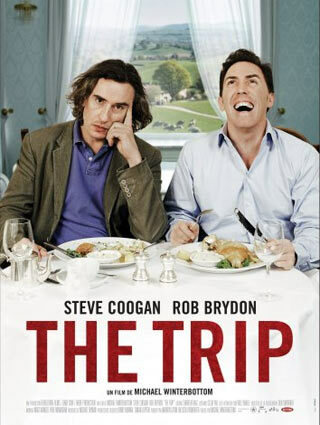 The concept is simple, Steve Coogan and Rob Brydon, playing fictionalised versions of themselves, are commissioned to travel for a week through rural northern England visiting high class restaurants for The Observer. Along the way there is much room for celebrity impressions (their Michael Caine face-off is magnificent), banter, arguments and ruminations on two men realising they’re not young anymore. The sequel involves them doing the same in Italy. The dialogue is both funny and melancholic, with both bringing their very considerable mimicry powers to the table, and willing to challenge public perceptions of themselves, and the scenery is beautiful. The food looks gorgeous. This is television for grownups. More please. Cameron to beat immigrant to death live on Coronation Street in bid to win over UKIP voters. Posted by Jason O on Jan 5, 2015 in British Politics, Not quite serious. The Labour Party has responded to the challenge by upping its attempts to win the youth vote. Shadow Chancellor Ed Balls was seen practising on his chopper bike, whilst Ed Miliband badly grazed his knee when he fell off his BMX trying to do a wheelie.